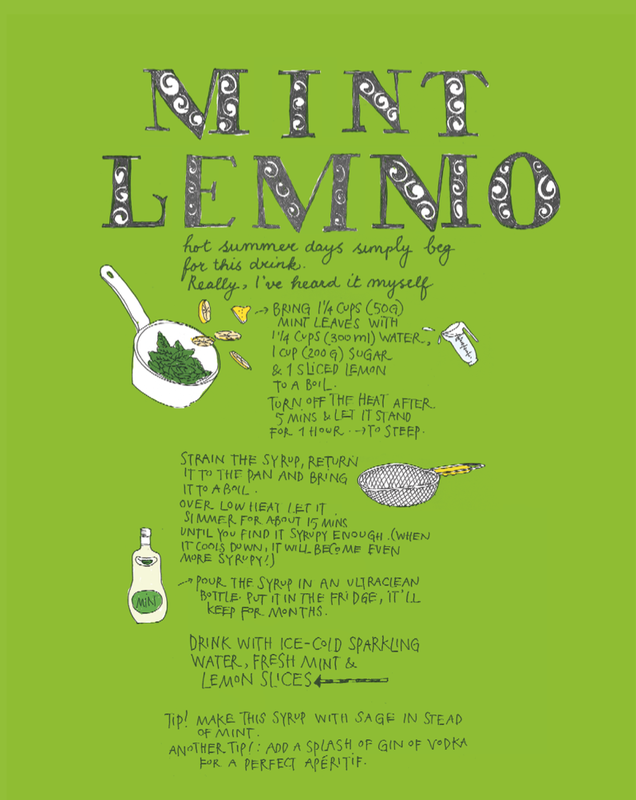 NR: Congratulations on yet another gorgeous cookbook- this time around dedicated to the juicy gifts of summer. I love the homespun sensibility and fantastic detailed illustrations and die-cuts in all of your books. What did you want to offer your devoted readers about summertime in particular with your latest book? YVB: Ah, thank you, yes I wanted to make a book that was the opposite of the winter one. Winters call for food that takes time to prepare: stews, soups, comforting dishes. In summer you don't want to spend time in the kitchen, you just want to mix fresh ingredients together and enjoy the sun. I wanted to give ideas for that time of year too. NR: I understand you wrote your first cookbook at age 4. Which recipes did you include and what did your cookbook look like? YVB: Ha, my first recipe was one for scrambled eggs. I couldn't even write properly, but I still pretended I could. I jotted down things my mum made, like soda bread, spaghetti or 'French coffee' (which actually was a big bowl of hot milk with a drop of coffee in it, because we weren't allowed to have coffee as a kid, but we adored it and only drank it on special holidays and such), things like that. Things I couldn't write down I drew, like I still do. Nothing's changed really. NR: One of the many things I've enjoyed about your books is that you bring such a medley of recipes from your childhood home in Ireland, your current home in Amsterdam, and your husband's former home in France. Okay, let me see if I have this right: you were born in Ireland. Your parents are Dutch, but your family lived in Dublin until you were 10 years old. If the Dutch side of you had a tug-of-war with the Irish side which would win? YVB: The Irish side. I think the Dutch don't have a very impressive kitchen, the Irish on the other hand have the best fish and meat in the world. And Irish baking....who can top that? NR: You are something of a triple threat as a quite accomplished illustrator, author, and restaurateur. Which of these gifts brings you the most joy? YVB: I like to do all of them. I like the fact that my work is never the same. It's different all the time. One day I write, the other I draw or cook, it's never boring. I'm terrified of boredom. NR: Your hubby Oof is your co-conspirator and photographer of all the beautiful images in your cookbooks. You must have great fun dreaming up new adventures together. Where would you like to take your gypsy wagon next to create a fantasy cookbook, if you could? YVB: Funny you put it that way, we actually fantasize exactly like that all the time. We've already started on a journey, not knowing where we'll end up yet. But that makes it so exciting, we have a year to work on it, so I'm taking my time. NR: You grew up in Ireland surrounded by women who liked to make things. As a result, you and your sister baked soda bread, biscuits, shortbread, and stew for your toy kitchen. How did seeing your friends and family making things out of necessity inform how you have created your own career? YVB: Well I have learned to always make everything yourself. Not only food, but I can sew and hold a hammer too. I just liked cooking best, so I turned out this way. But it took some time for me realize that, I first studied arts and interior architecture. I thought I was going to be a designer. But cooking always popped up and seemed to be more enjoyable to me. So I changed my whole life and became a full time cook and did all the other things I do now. NR: I adored how you chose comforting cozy food for Home Made Winter and more light fragrant bounty for the recipes in Home Made Summer. I also appreciated how you've included seasonal celebrations like Dutch holidays (Queen's Day), St. Patrick's Day, and French fetes in your cookbooks. Why are fetes in the south of France so magical? What's your favorite place to unwind and recharge your batteries? YVB: Because we have been coming to the Provence so often you get to know all of the habits of the people there really well. It's a quite small region I'm talking about. They have their own feasts, traditions and recipes. I guess all countryside-regions have this, but I just happen to know this particular one very well. It's not a very touristic scene; you really have to know your way around. I think that makes it even more appealing to me. I just spent a month in wintertime there too, to write and to unwind. Life is so simple, slow and comforting over there I can really say that it recharges my batteries well. NR: Home Made Summer feels like something of a party as you've invited all of your friends to join like Maria who offers how to make pumpkin fritters; Georges who taught you a few tree tricks; and baking eclairs with Sophie. By sharing these tricks of the trade and handed down recipes you're carrying own their traditions. What has sharing in this way taught you about invention/experimentation or making a recipe your own? YVB: I know who I ask recipes for, everyone I quoted in my books are really good at what they do. I love the fact that their recipes suit me well. And also they teach me something new, things I might have never thought of and then I start to fantasize: what if....? Like in my book Home Made, Georges told me how to make Verveine Liqueur. After I knew how to make that, I started to make so many varieties. We always have a different one to serve with an espresso at the end of a meal in our restaurant. To thank all my friends I always put their name in the recipe's title. It would be strange not to do that. This way my books show you how the people around me inspire me to try new things. Something I hope will inspire others too. 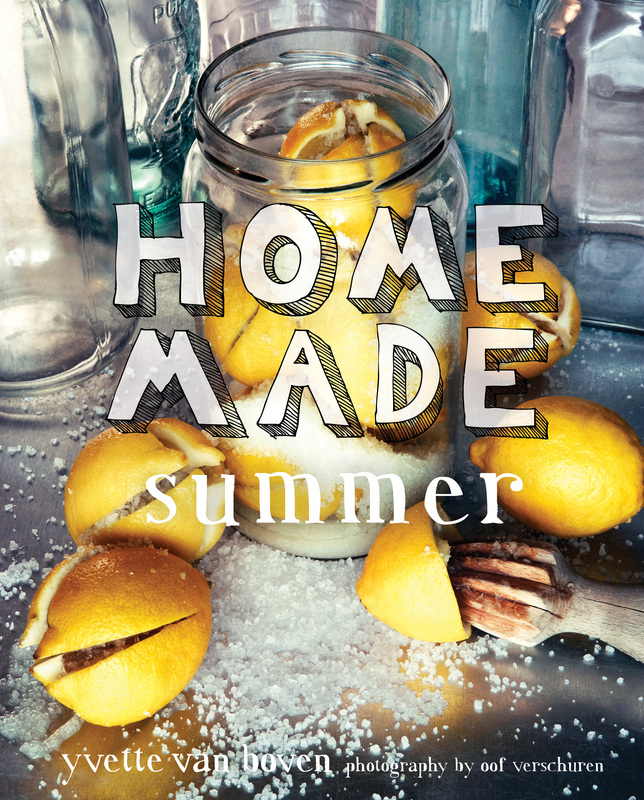 NR: Home Made Summer includes incredible cocktail recipes (Pimm's Cup, Mint Lemmo, Cava Sangria, Elder Blossom Collins) and mouthwatering desserts (Peach Tart, Nougat, Macarons) to satisfy our sweet tooth. In this era when people often diet and deny themselves bread and sweets, it's a great treat to browse your tempting recipes. What is your favorite dessert to indulge in? And your perfect cocktail at the end of a hard day? YVB: I know, I know. I myself am not very different. But once in a while, when we have something to celebrate I love to make a huge dessert. Chocolate mousse always does the trick. The one in my book, with cherries and lemon thins to dip in, is soooo delicious! A Pavlova works well too, especially in summertime, when there is a lot of fruit to eat with it. And cream of course, I could spoil myself for days eating it. 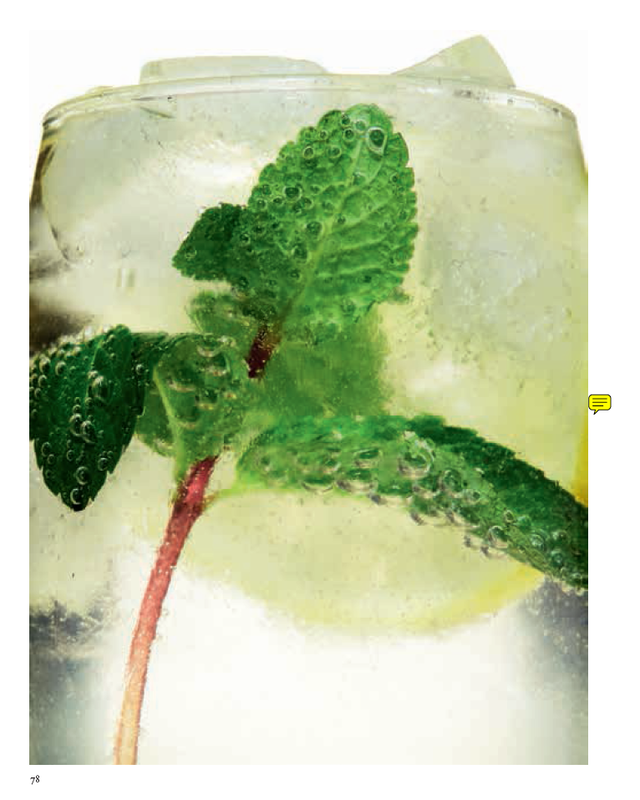 The Elder Blossom Collins happens to be one of my favorite drinks for the end of a hard day, very refreshing too. And when I have a lazy sunny day I make a large jug of Pimm's Cup, preferably with home made ginger ale and lots of cucumber and strawberries. NR: If you could choose any five people to join you at your table for a lavish feast, who would you invite and why? YVB: I'm very easy: I'd invite Oof, my husband and my cousin Joris (whom I have my restaurant with) because they enjoy food so much, they are always enthusiastic and eat almost anything I cook. Joris is a great lover of wine and knows pretty much about it, so he'll probably bring some good bottles. My sister Sophie is my most steady guest, she is a great cook herself too. And any other good friend I have can join us. Eating together is all about having fun together. Even if the food burns, the cake failed and the soup is far too salty: if you have the right people at your table you still should have the best night ever. NR: In Home Made Summer you share a touching birthday tradition: your grandmother used to take the train from Limburg to bring your mother a fresh bag of asparagus for her birthday. What a lovely tradition. What other traditions do you hope to carry on from your family? YVB: Um, that's a hard one. I guess that we like to celebrate any family event EATING. We set the table with our best dishes, glasswork and silver, we always have a 4 or 5-course menu and usually everyone brings something: from crackers and nut with the drinks, to a starter or chocolates to go with the coffee at the end. We have big discussion before we dine: 'who's making what' and then usually have a feast that ends really late at night. Our neighbors must hate us. NR: Could you tell us a bit about your restaurant Aan de Amstel in Amsterdam that you run with your cousin Joris? YVB: We used to work together all day and night, but now I'm so busy, my sous-chef took over the kitchen entirely. But we still make the menus together of course and things like that. 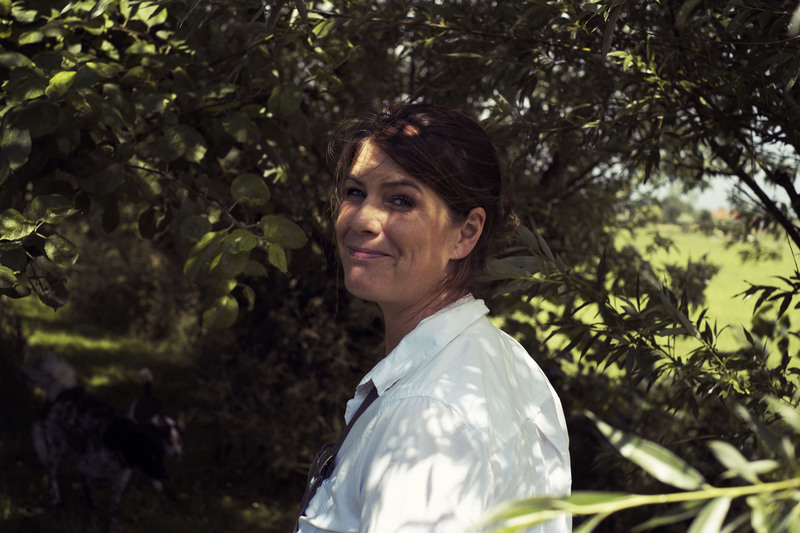 It's a small restaurant, we try to cook as seasonal as possible and we get all our ingredients from small producers who work very close to - or in the boundary of - Amsterdam. Because we work so closely with them we get to change things on the menu very often, just because we can get our hands on something special for the day. We have a small menu, but I think it's quite nice, always a bit of a surprise. That's our goal, to feed you something you will be excited about. Joris is a bit of a wine expert and searches all over Europe to find special bottles from small producers. We have many of them open, even for one glass just to match a dish. I love that we can do that. We're open for dinner every day except Monday and Tuesday. We take on catering jobs for big events too and if you want to come for a private dinner on Monday or Tuesday or a private lunch with a group all week, that's possible too. Have a look at the menu here, it's always written short, we explain the rest at your table as all sides etc. vary every day. NR: Which projects are you working on now? Perhaps Home Made Spring or Home Made Autumn? YVB: Nope, I'm focusing on doing something different. Because it's still in an early stage I'd rather not say. But it will be quite a volume, like my first book, so I'm taking my time to finish it. In the meantime I work as a culinary editor for the biggest Woman's Weekly in the Netherlands which takes up almost all of my time. I write and draw monthly columns for RED Magazine and a big Dutch newspaper called The Volkskrant every week. And few more bits and bobs. I work on my book in weekends and at night. Nicki Richesin is the author and editor of Crush, What I Would Tell Her, Because I Love Her, and The May Queen. She is the San Francisco correspondent for DuJour and a frequent contributor to Sunset, 7x7, The Huffington Post, Daily Candy, and The Horn Book. Find her online at www.nickirichesin.com.